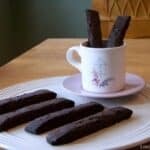 An easy keto chocolate biscotti recipe made with gluten free almond flour. 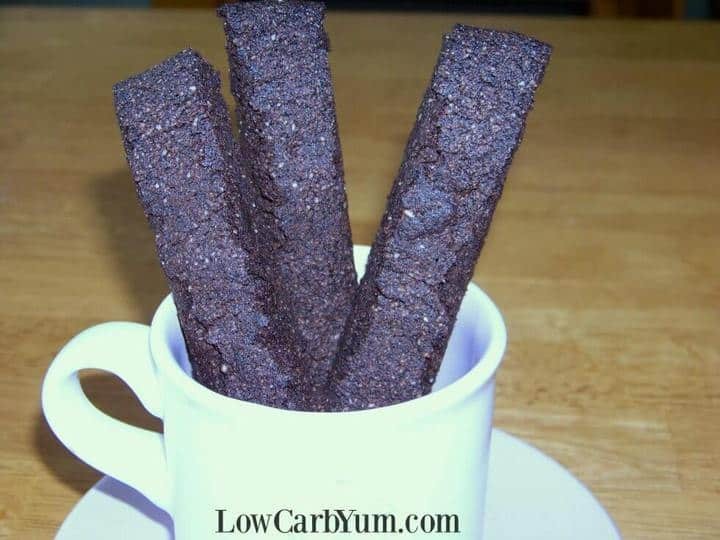 This tasty low carb biscotti pairs up perfectly with a cup of coffee. 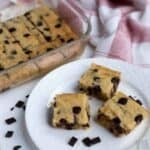 I needed an easy low carb chocolate cookie that I could use for a new keto cheesecake recipe I’m working on. 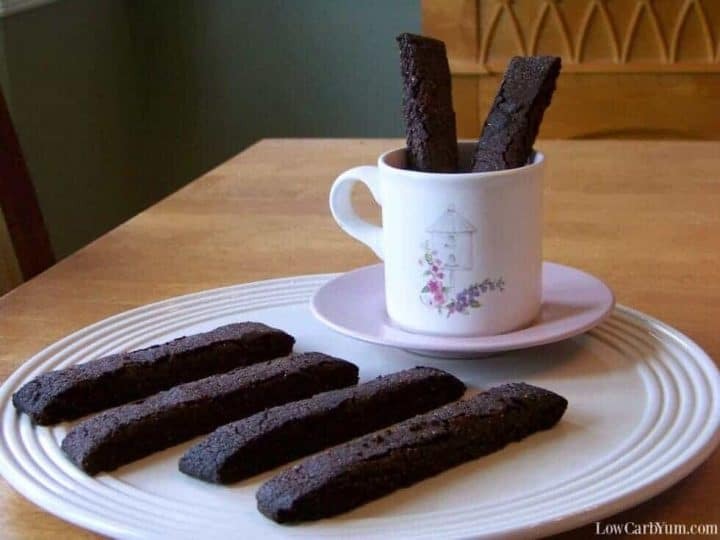 Keto biscotti seemed pretty simple to make so I gave it a shot. To get a nice crunchy cookie, I used almond flour. 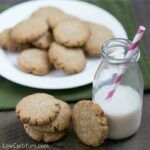 It’s a great low carb flour to use if you want your cookies to be crisp. 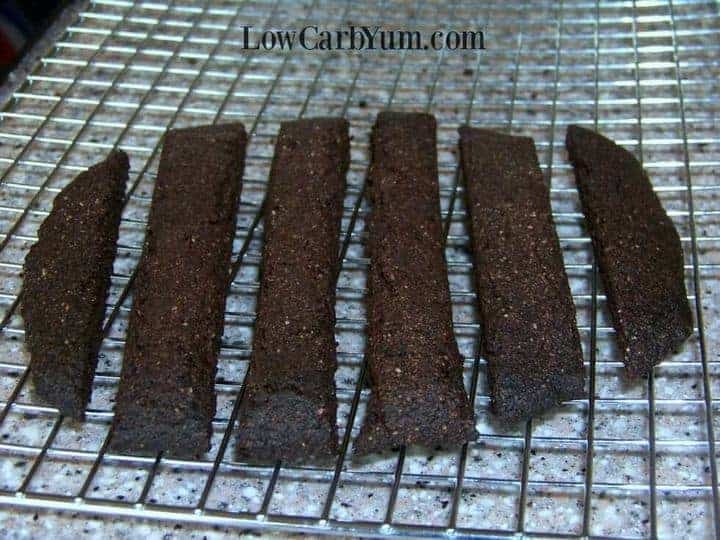 I’ve never made low carb biscotti before, but I was familiar with the process of making regular ones. You just have press the dough out on the pan and partially bake it. Then the cooked dough is sliced and returned to the oven to bake up crisp. First, the wet ingredients are mixed in one bowl. Next, the dry ingredients are blended in another bowl. Then, they dry mix is added to the wet mix until well combined into a dough. 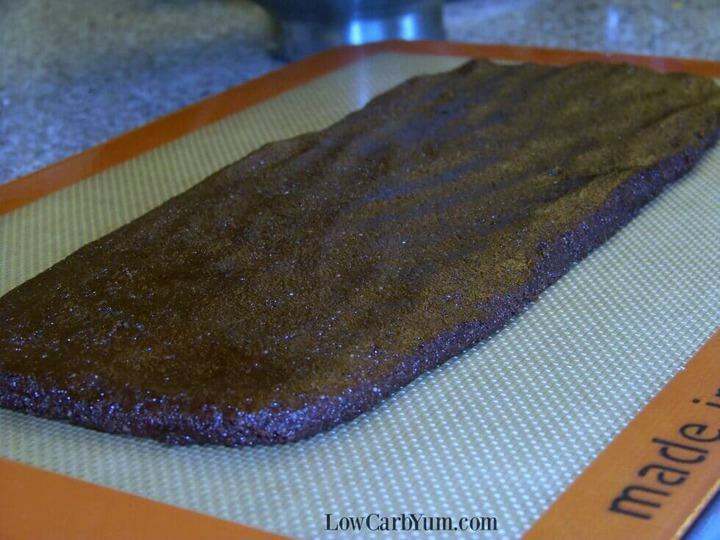 The chocolate keto biscotti dough is then shaped into a long flat log and placed onto a lined cookie sheet. The dough is baked at 325°F for about 20 minutes until cooked into a cake-like texture. The partially baked log is transferred to a wire rack until it is cool to the touch. Then, it’s sliced it into thin long pieces and returned to the oven. 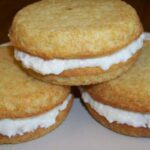 The second baking is what turns the cake-like texture into a crispy cookie. After the slices are baked the second time, they are placed directly on the cooling rack to cool completely. Once cooled, they should have a nice crisp cookie-like texture. 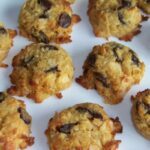 These twice baked Italian cookies are so easy to make, I don’t know why I’ve never done it before. I made the cookies plain because I wanted to try crushing them for a pie crust recipe. 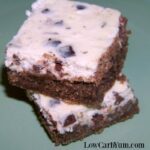 The low carb biscotti can also be dressed up with a white chocolate or dark chocolate drizzle. And or the bottom of each cookie can be dipped into chocolate. 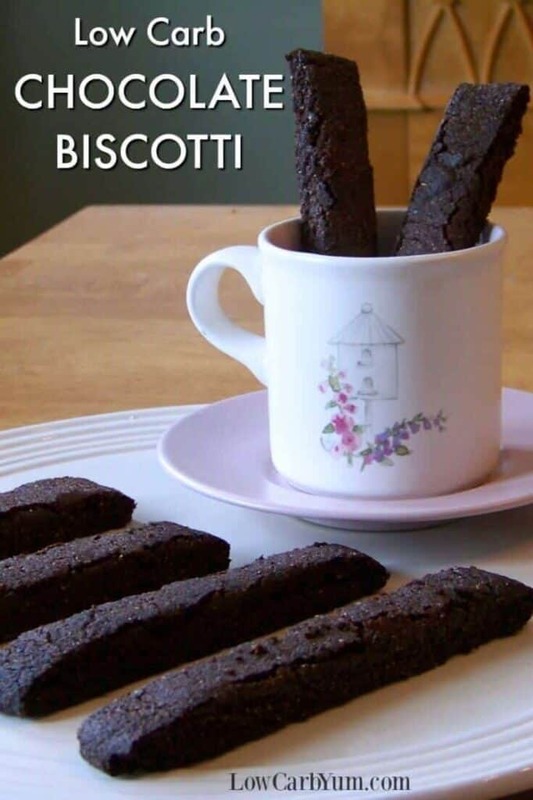 An easy recipe for low carb gluten free chocolate biscotti cookies. These delicate chocolate Italian style cookies pair up perfectly with a cup of coffee. Preheat an oven to 325°F. In mixing bowl, mix butter, granular sweetener, stevia, egg, and vanilla until well blended. 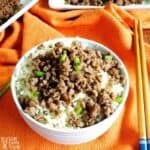 In a separate bowl, add all the dry ingredients and mix until well combined. Add the dry mixture to the wet mixture and mix again until well blended. 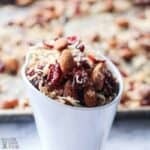 If desired, chocolate chips or nuts can be mixed in at this time. Shape the mixture into a large ball of dough. Place dough ball on a silicon baking mat or parchment paper lined cookie sheet. Shape dough into a low, flat log. 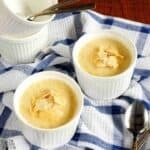 Bake the dough for about 20 minutes, or until lightly browned and cake-like. 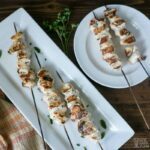 Remove from oven and reduce the temperature to 275 degrees F. Cool the log for about 10 minutes and then slice into thin strips about 1/2 inch wide. 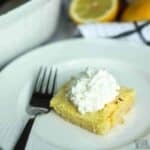 Place the slices on their side on the cookie sheet, and then bake for about 20-30 minutes, or until they are fully crisped. Post updated in February 2019. Originally published September 2010.